In front of 300 journalists and with PSA Group CEO Carlos Tavares in attendance, Vice President & CFO Opel Group Michael Lohscheller presented three premieres at the same time: the Grandland X, the Insignia GSi, and the Insignia Country Tourer. 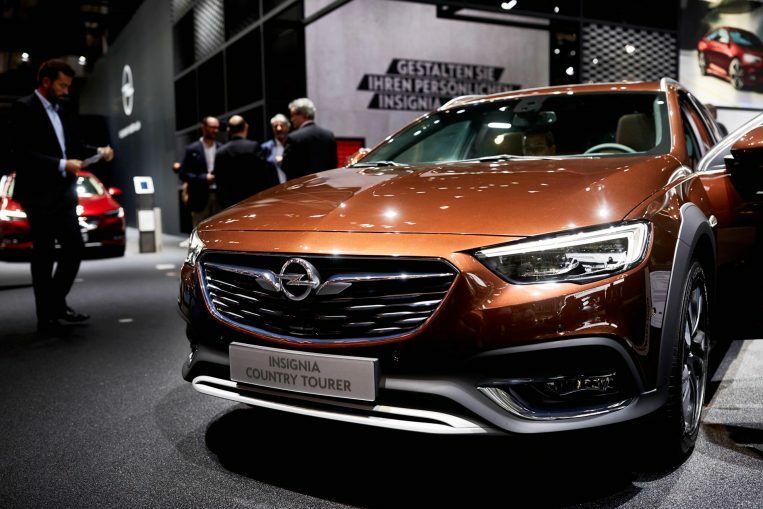 With the compact Grandland X, Opel plans to conquer the booming SUV segment. 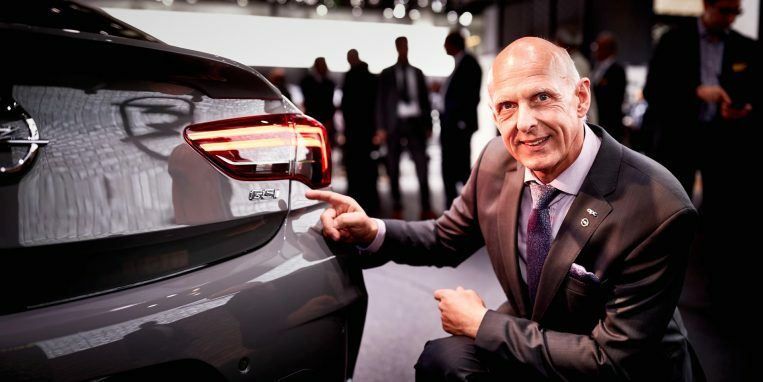 In his speech, Michael Lohscheller announced that the newcomer would soon be available with a new top-quality diesel engine and an eight-speed automatic transmission. 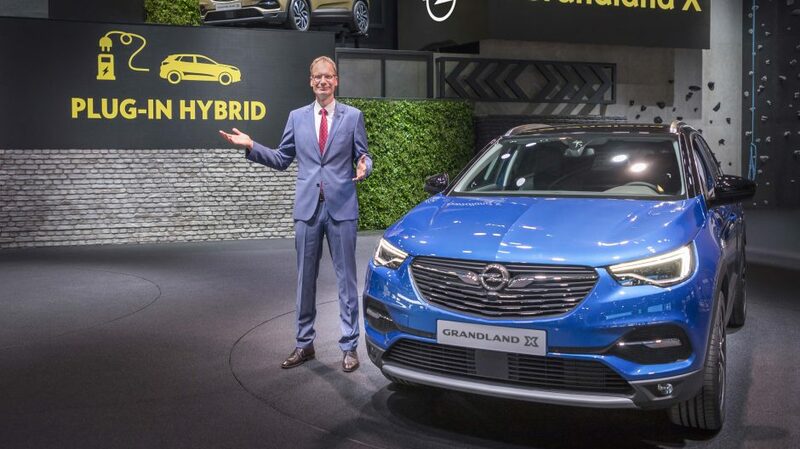 What’s more, the Grandland X will be the first Opel to be offered as a plug-in hybrid. 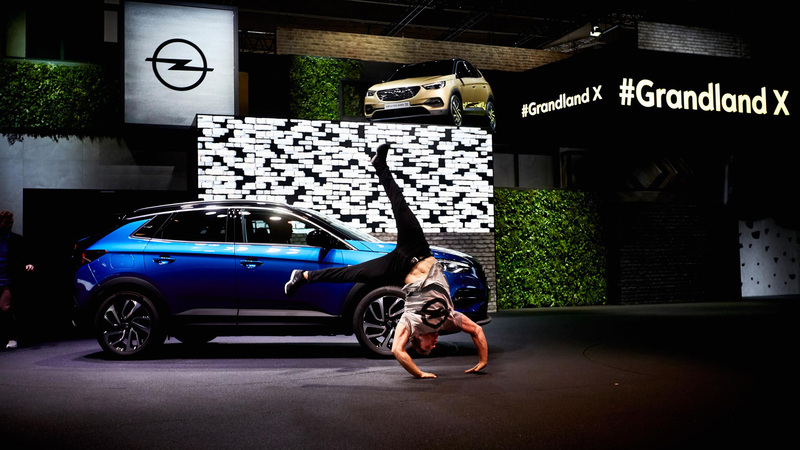 “As a plug-in hybrid, our new Grandland X is the next great example of the chances that are available to us in the PSA Group. 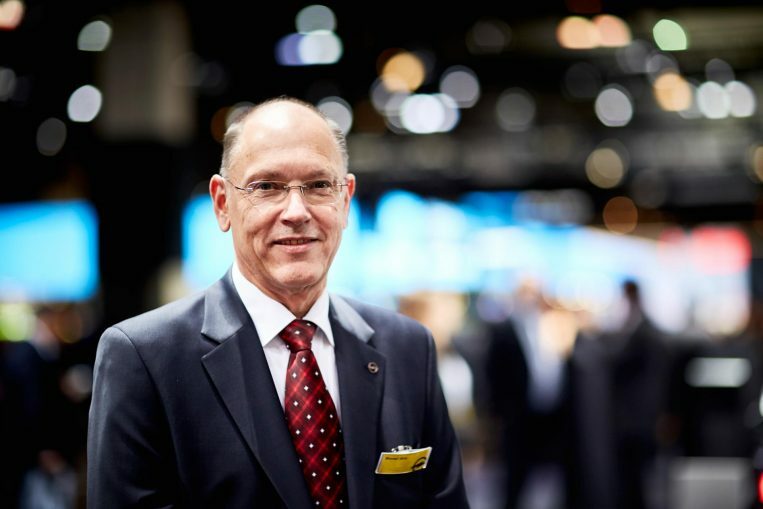 We will not waver in our pursuit of this course,” said Vice President & CFO Opel Group Michael Lohscheller. 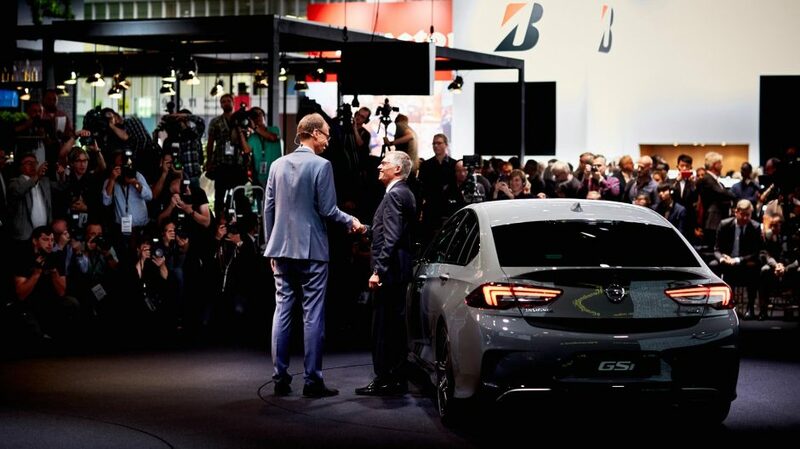 World premieres for the exceptionally sporty Insignia GSi with Groupe PSA CEO Carlos Tavares and Vice President & CFO Opel Group Michael Lohscheller (left). 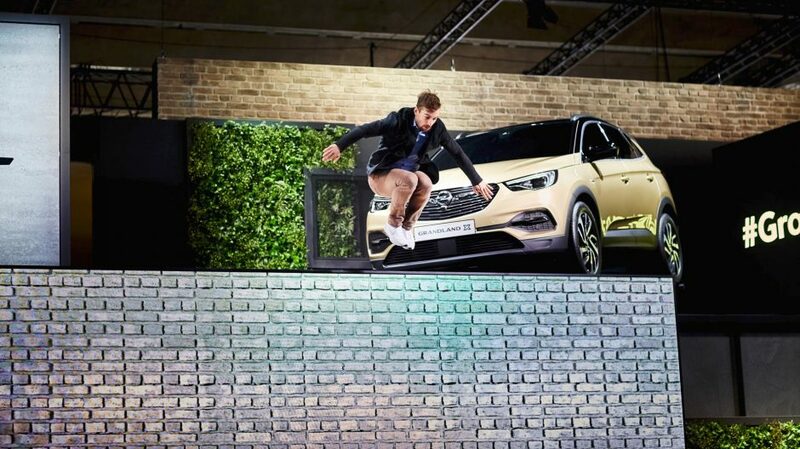 In addition to three world premieres, Opel also offered press conference attendees an entertaining show. In this photo, a freerunner named Benjamin jumps to a height of 3.5 meters. The professional athletes of Ashigaru (Japanese for ‘light of foot’) demonstrated athletics of the highest caliber. 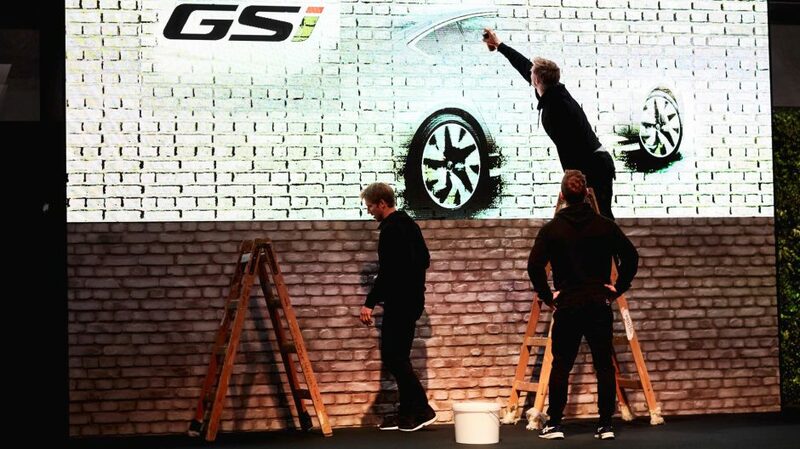 The freerunners sprayed the new, extra-dynamic Insignia GSi on the facade of a house in X-Ville. 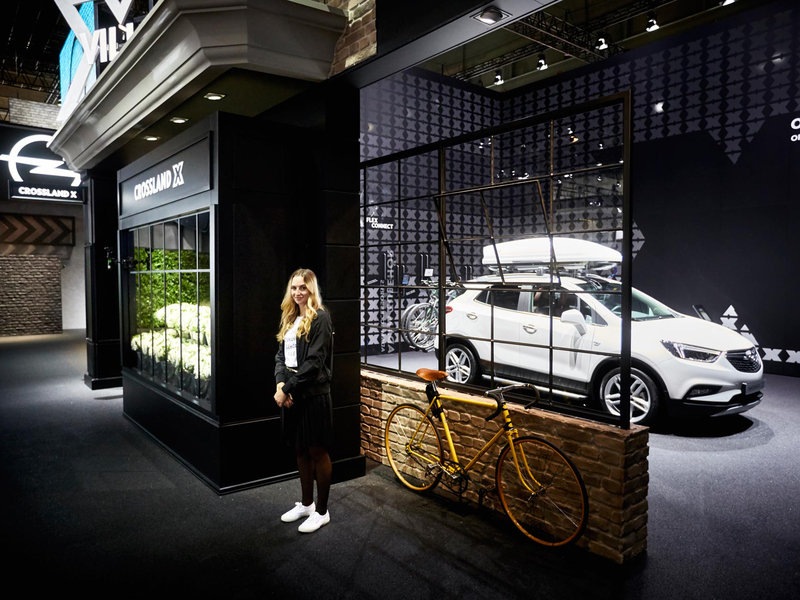 The Opel stand at the 67th IAA in Frankfurt represents a small town where everything revolves around the mobile individual. Which residents are bustling around the stars of mobility – the Grandland X, Insignia GSi, Insignia Country Tourer, and Vivaro Life? We paid them a visit. It’s 9:45 a.m. in X-Ville. The air smells of freshly baked cookies. The espresso machine in the café grinds and steams. And the namesakes of Opel’s town stand in the main square. 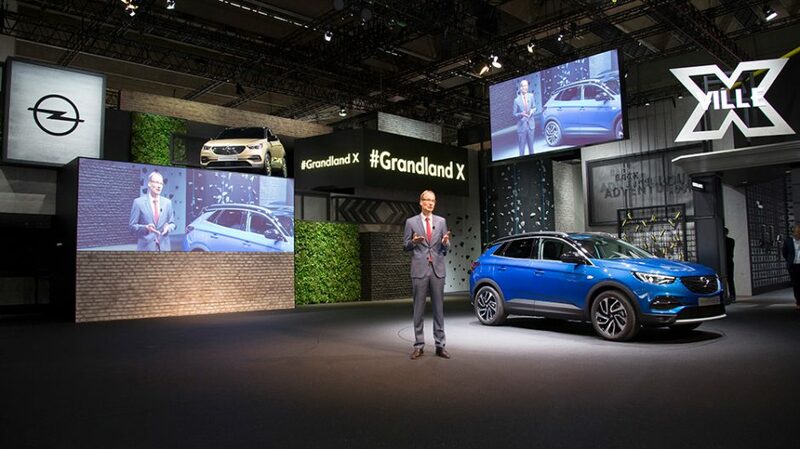 The Grandland X is there, of course, as is the Insignia GSi, with visitors crowding in on all sides. Spirits are high in X-Ville. 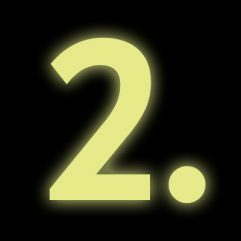 The date is 12 September. The press conference ended just ten minutes again. It featured three world premieres, the announcement of Opel’s first plug-in hybrid, and Vice President & CFO Opel Group Michael Lohscheller in the best of spirits (see the photo slider above). 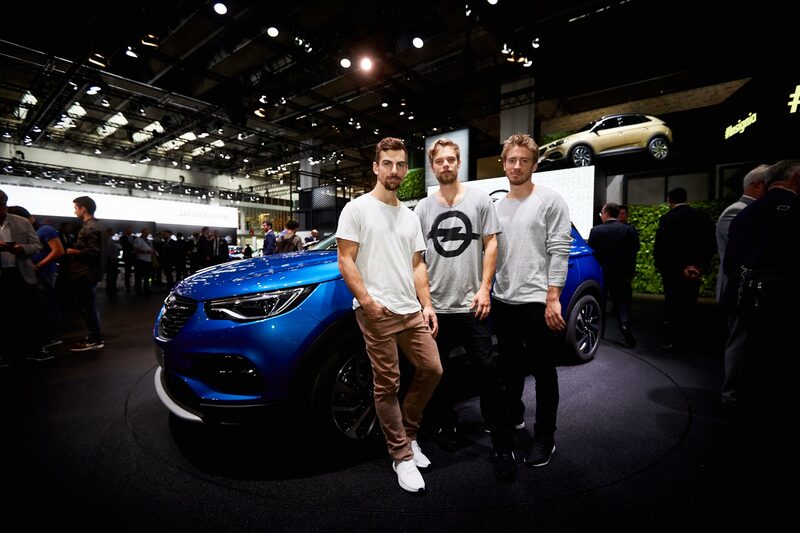 We embrace the excitement to learn a bit more about the ‘residents’ of the town that Opel built in the middle of the exhibition grounds in Frankfurt for the 67th International Motor Show. Fresh snacks Pia, a hostess at the trade fair, hands out apples to visitors. 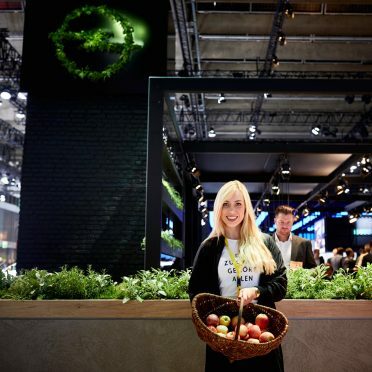 There’s plenty more where that came from; 2,500 kilograms of fruit have been stockpiled for the 67th IAA, which runs until 24 September. 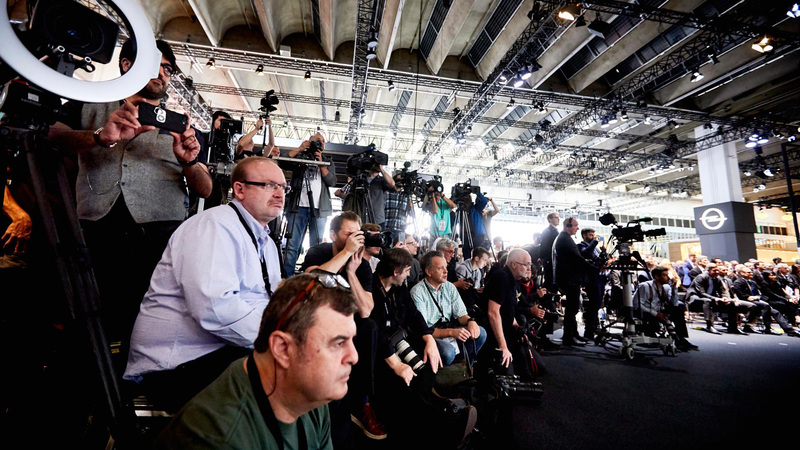 of the IAA Cars 2017 in Frankfurt was presided over by German Chancellor Angela Merkel on 14 September. The first two days of the motor show were directed exclusively towards industry professionals. 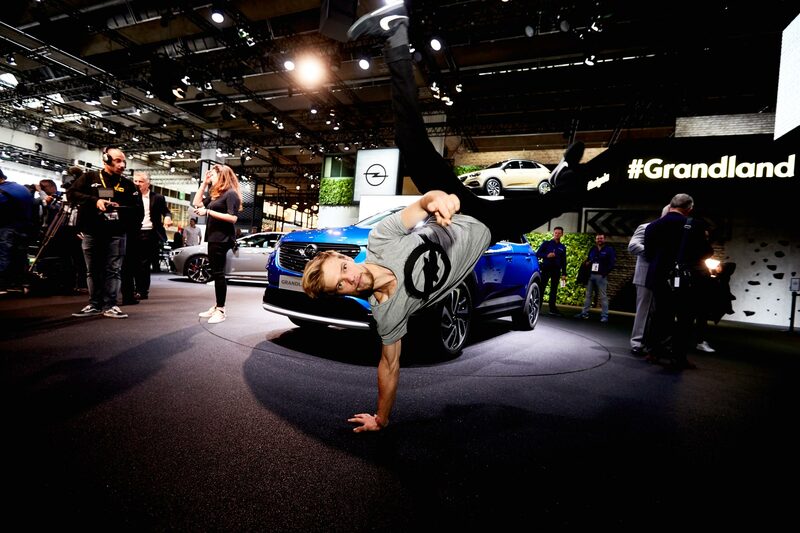 is then invited to attend each day from 9:00 a.m. to 7:00 p.m. You can find out how to obtain discount tickets as an Opel employee here. could visit the motor show as early as 12 and 13 September. 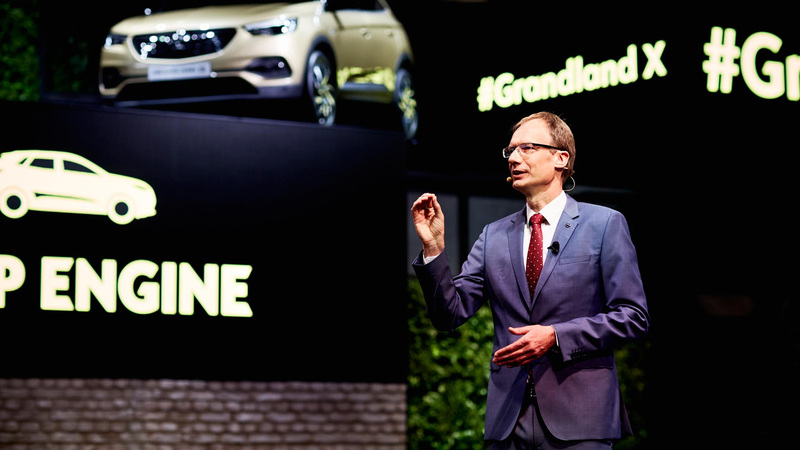 On the first press day, Vice President & CFO Opel Group Michael Lohscheller presented world premieres before an audience of 300 journalists. ¿Apoyarse sobre las manos para la foto? “Eso es demasiado fácil. Os lo hago con una mano”. ¡Gracias, Matthias! 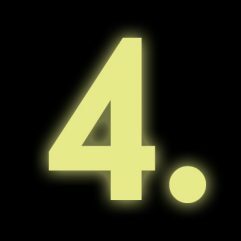 Algo en común Durante tres días, los freerunners han practicado con y en torno al Grandland X para su actuación. El punto de intersección: el arte del movimiento eficiente. ↑ Here’s a video of highlights from the Opel press conference. De punta en blanco Volker Strycek resplandece no tanto por ir de traje, sino por estar en el asiento deportivo del GSi. 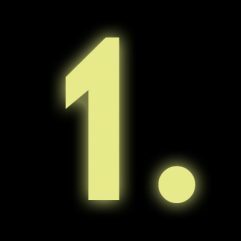 Se puede ajustar en 18 posiciones, ofrece una sujeción lateral muy buena y, no obstante, es cómodo, como acredita el certificado AGR. ¿Y por lo demás? GSi es el acrónimo de “Grand Sport injection”. Traducido en cifras: alcanza los 270 km/h. El turbo 2.0 alcanza una potencia de 191 kW/260 CV y ofrece un par motor máximo de 400 Nm. Una máquina de conducción por excelencia El piloto de turismos dio el último toque al deportivo para entendidos, con chasis FlexRide y frenos Brembo, en el legendario tramo Nordschleife del Nürburgring. 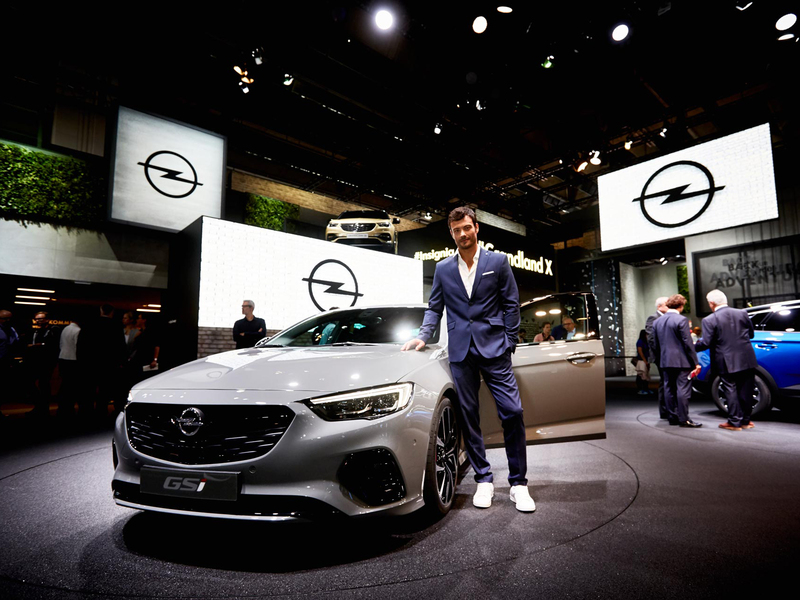 Brand ambassador Joachim ‘Jockel’ Winkelhock has always insisted that a sporty Opel simply “has to depend on the steering.” And that’s exactly what the Insignia GSi does, as Opel’s Director of Performance Cars assures us. After all, he has personally driven the car for thousands of test kilometers on the Nordschleife of the Nürburgring. “I guarantee an insanely fun drive,” he says with a twinkle in his eye. Anyone who thinks money can’t buy them love should ask Volker Strycek for buying advice. 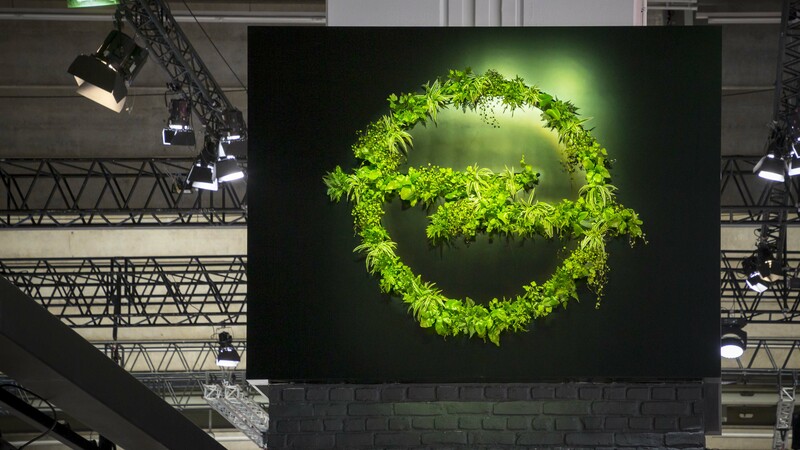 The Opel stand in Hall 8 is well worth a visit, and not just because of the many world premieres. ¿Tiene alguna pregunta? Estas amables azafatas le ayudarán. ¿Quiere enviar saludos? Para eso X-Ville cuenta con un fotomatón. ¿Busca inspiración? En el stand de Opel se va de gris mate o de azul brillante de forma opcional. ¿Tiene ganas de algo más? En la ciudad Opel puede informarse con toda tranquilidad acerca de los accesorios para su Opel. ¿Está harto de lluvia? Las previsiones para X-Ville hasta el 24 de septiembre son muy buenas, tiempo seco y cálido. Las condiciones ideales para el Opel Cascada. Para sentirse a gusto Werner Jöris se ha subido a la tercera novedad mundial. El cockpit del Insignia Country Tourer está pensado para el conductor y el programa incluye asientos ergonómicos premium con certificación AGR. 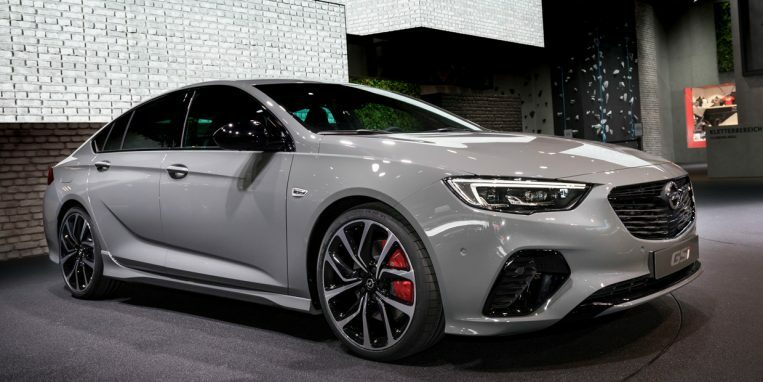 Para los más exigentes TLas nuevas variantes de inyección de la serie insignia llevan tracción total, inclusive torque vectoring y 20 milímetros más de altura libre al suelo. 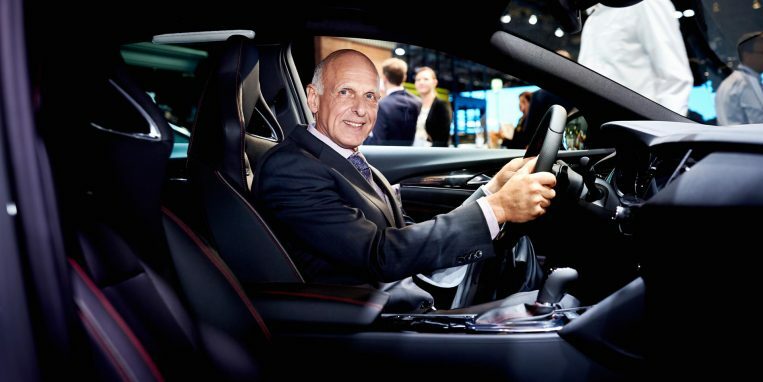 El artífice del coche insignia Werner Jöris ostenta el título de Performance Manager. 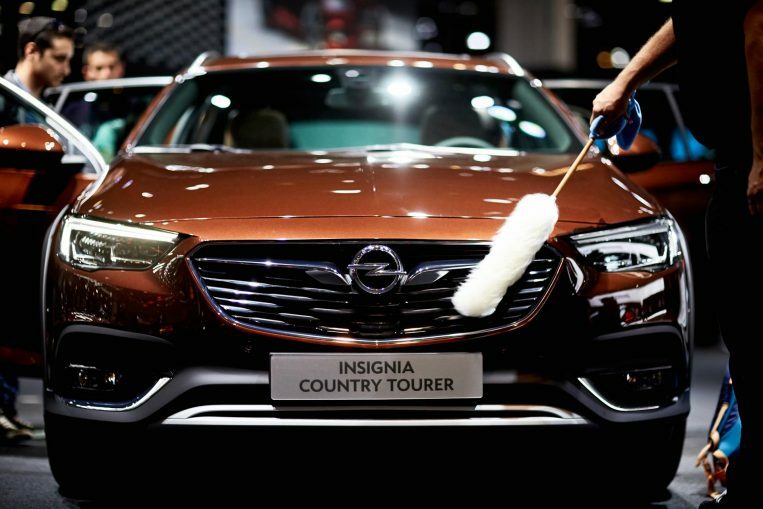 En su trabajo define cómo se conduce y se siente el Insignia Country Tourer. En la parrilla de salida Tras el IAA, el Country Tourer partirá hacia los concesionarios. 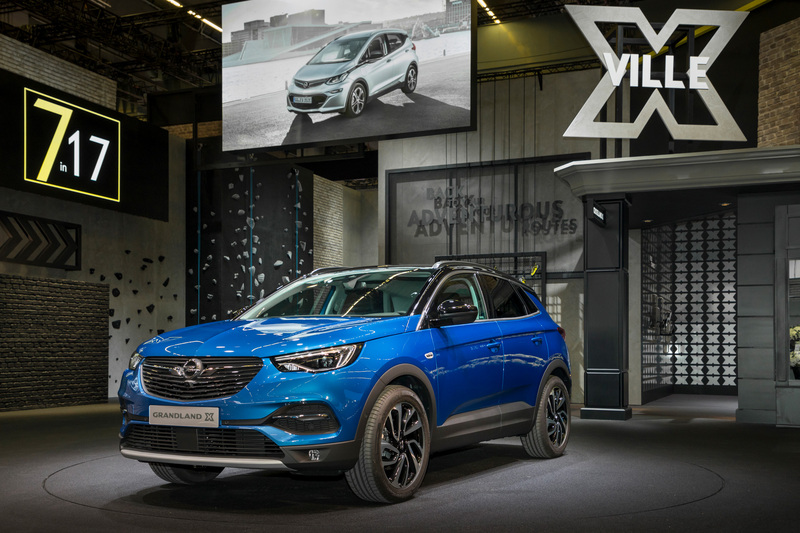 The third premiere in X-Ville: “The Insignia for the adventurous.” That’s how Vice President & CFO Opel Group Michael Lohscheller introduced the Insignia Country Tourer at the press conference just now. “However, the Country Tourer is also the ideal car for anyone who likes to sit a little higher, but still wants to drive an Insignia,” adds Werner Jöris. That makes sense. 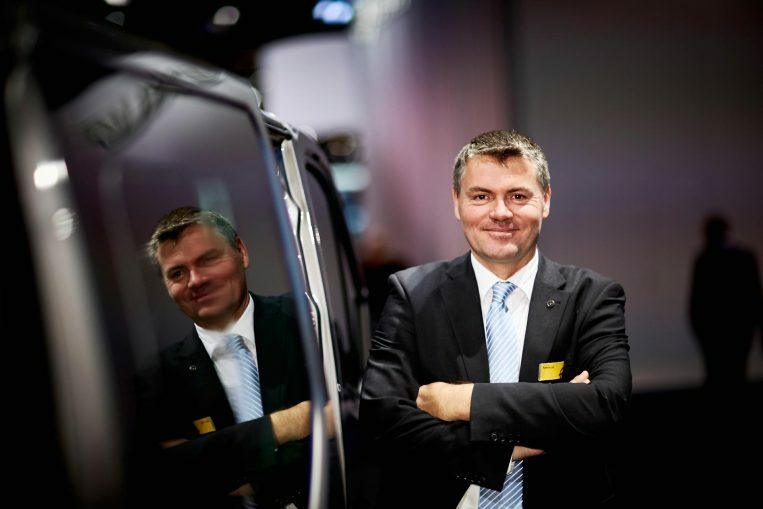 Jöris is Performance Manager of the Opel flagship. He fields questions from media representatives on both trade fair days. What information is he passing on to the editorial offices? “The new Country Tourer is roomier and lighter than its predecessors, but still manages to retain its distinctive off-roader look, thanks to the underride guard and the black trim around the wheel wells.” The two tailpipes in the back make it look powerful. The off-road expert stands 20 millimeters taller than the standard Insignia. As for the color scheme, everyone is free to decide whether they want it based on earth tones and nature or prefer something flashy. For the Insignia Country Tourer is also available in ‘exclusive’ versions that allow for pretty much any color combination. But country style calls for (driving) comfort, too. 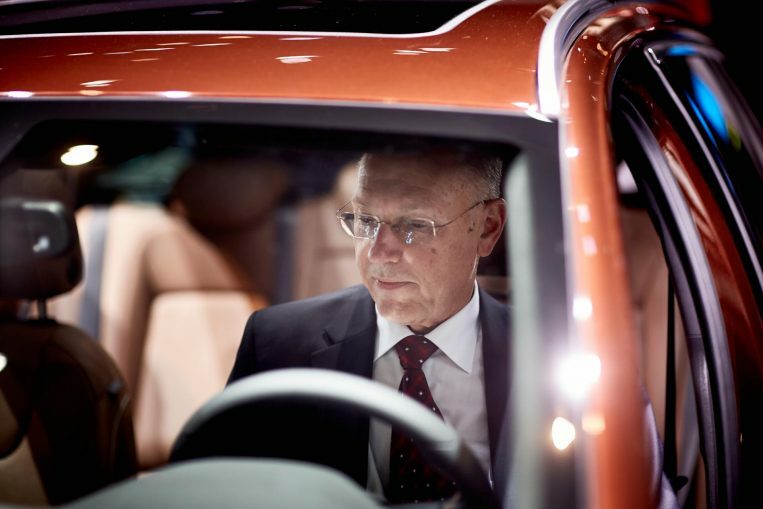 “That’s provided by the Twinster all-wheel drive and the new five-link rear suspension,” says Jöris. Preparado Peter Kuhn es el director de Marketing de Productos para vehículos comerciales ligeros de Opel. Él se encarga de responder a todas las preguntas de los periodistas relacionadas con el Vivaro Life. 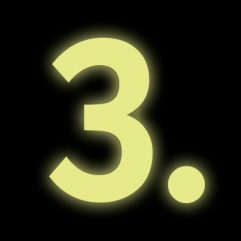 Primera aparición La furgoneta de tiempo libre ofrece la posibilidad de dormir en ella (una función que por desgracia no podemos enseñar aquí). Popular La Vivaro Life está permanentemente ocupada con reuniones convocadas de forma espontánea. If X-Ville gets overcrowded, that’s no problem. 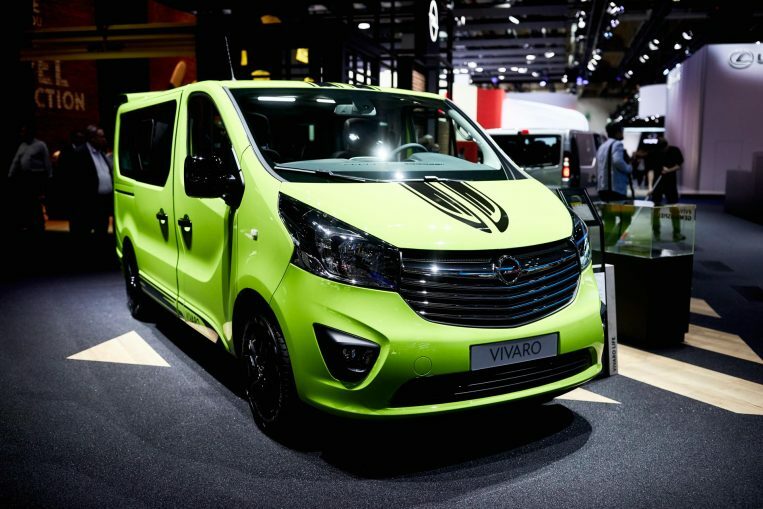 The fourth premiere, the Vivaro Life, offers plenty of room and even has a bed on board. 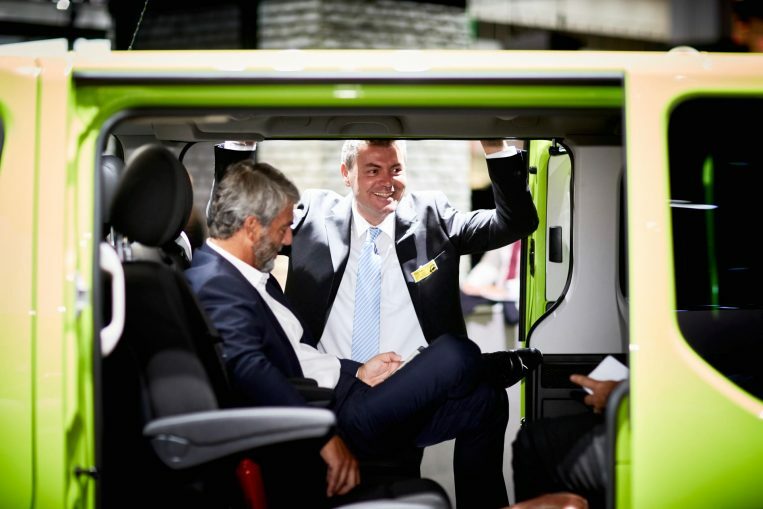 “The seat bench in the third row can easily be converted into a travel bed for two people,” explains Peter Kuhn, Product Marketing Manager for Opel’s lightweight utility vehicles. Could he show us how it works? Of course! But not right now. A group of four is holding a meeting in the spacious van; the design practically asks for it. The individual seats in the second row can be rotated 360 degrees, resulting in an enjoyable face-to-face seating arrangement.